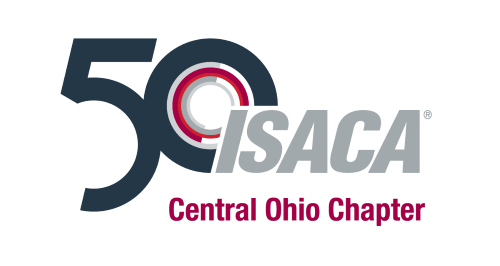 Summary: The ISACA Central Ohio Chapter is offering a multi-track training day for individuals seeking to obtain additional CPEs before the end of the year. As an auditor, we rely heavily on the information that is provided to us around the controls we're considering and assessing in order to form our opinions. We also know that not everyone is always the most forthcoming and can be adversarial at times, especially our colleagues in IT. This goal of this training is to provide auditors with the tools, techniques and practices to get to the ground truth on answering those IT concerns. We will demonstrate a number of open source tools and methods used by hackers to validate if the information being provided is actually a fair representation of what is being stated. The ability to identify, analyze, asses and manage risk for our organizations can be daunting. We are responsible for divining the future and recommending strategies and appropriate controls for things that have not yet happened. The goal of this training is to provide attendees with the concepts, theories and tools they need to effectively communicate risk to the appropriate business owners. We will demonstrate ways to engage and normalize discussions around risk management efforts and ensure that business owners are appropriately informed so that they can make the best, most well-informed decision possible. The Rubicon Advisory Group is a business-focused Information Security advisory firm, which specializes in information security, risk, and compliance. With over 100 years combined experience, their expertise is unparalleled and unmatched. Their team of professionals has developed unique strategies, reduced costs, and increased efficiencies for a number of organizations around the globe. Their consultants are not only certified practitioners, but also instructors with internationally recognized industry organizations which include the Information Systems Audit and Control Association (ISACA), International Information System Security Certification Consortium (ISC)², and the Information Systems Security Association (ISSA). ** NOTE: Breakfast and lunch will be provided. Parking will be reimbursed for the Union Garage attached to the student union. NOTE: Pre-registration is required. This event is not accepting walk-ins. By attending this event, the registrant grants permission to be photographed and videotaped during the event. The resultant photographs and videos may be used by the Chapter for future promotion of the Chapter's educational events on the Chapter's web site, in social media and/or in printed promotional materials, and by attending this event, the registrant consents to any such use. The registrant understands any use of the photographs and videos will be without remuneration. The registrant also waives any right to inspect or approve the aforementioned use of any photographs or videos now or in the future. All reservations made are subject to the Chapter's General Cancellation Policy.